Nepal relief. Our recent earnings have been sent to Heifer general fund to be used where most needed. Procedure for ordering materials. Easiest method seems to be by telephone. Some volunteers still have difficulty getting admitted to volunteer site. 70th anniversary event in Sacramento. Sonoma group has no volunteers available for this event. Linda will communicate this to Evie and John Brewer. Jill’s regional newsletter. Lynne and Dotty did not receive the newsletter. Treasurer’s report by Lynne March. Received cash donations of $55. (check issued to Jill) and one $30. donation by check (sent directly to Heifer). List of contacts made at Expo were reviewed and follow-up assigned. Dotty will develop a form for use at tabling events, a form for tallying the number and nature of contacts. Lynne wrote a thank you letter to Baker Creek Heirloom Seeds, the organizers of the Expo. We all agreed that the administration and staff had done an excellent job and that it was a pleasure to participate in this educational and inspiring event. Unity of Napa Valley: Congregation has completed Water Buffalo Project and is working on a donation of pigs. 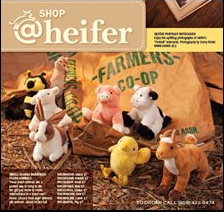 Lynne places a blurb re: Heifer’s impact in each monthly church newsletter, e.g., Did you know that one half of the chickens in Korea can be traced to original Heifer gift chickens? Joyful Noise Singers. Linda will propose another benefit concert for Heifer in the spring. Last year’s successful concert was on May 4,2013. We also had successful concert on March 23rd, 2014. 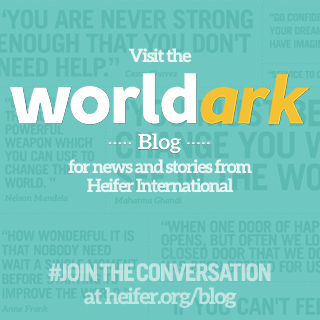 If we were to schedule a Mothers’ Day concert, we could focus on Heifer’s work to empower women. Sebastopol Grange. At the Expo Lynne made contact with Amy(?) Crawford of the Sebastopol Grange. Ms. Crawford is open to the idea of a Heifer table at Grange events. Dotty is on their mailing list and will keep an eye out for events suitable for a Heifer information table. Thursday evenings at the Barlow. Will make a group effort to attend so that we can evaluate the venue for tabling next season. Lynne will contact Caroline re: a volunteer lunch meeting in Healdsburg in October. 0 Response to "9/20/2014 Sonoma Heifer Minutes"